Free private investigators are in high demand, but extremely limited supply. Basically, investigation work is expensive to accomplish and the fees charged for a professional investigator’s services are not cheap. However, there are still ways of saving some cash when hiring a private investigator and maybe even a slim chance of getting your assignment handled for free. This essay provides prospective clients guidance on saving money when retaining the services of a professional investigator. We will detail both free and low cost detective services. Although not free, low cost investigators do exist. Most of these detectives are cut price for a very good reason. Some offer consistently poor results, while others may not be properly licensed or are inexperienced. A few might even have criminal records and may target their clients for fraud or even worse. Like most things in life, private investigators generally price their services on their actual worth. Beware of extremely low cost investigation services, since these might just turn out to be a complete waste of money. This is not to say that bargains cannot be found, for they can. Just be careful that you do your own small investigation to ensure that a low fee is not too good to be true. Some investigators might offer their services pro bono in rare instances. This is usually in response to a particularly sympathetic case profile or when working for an attorney who also donates time pro bono. Do not expect that your typical investigation requests will be handled for free. Professional investigators are also career people with their own substantial bills to pay. Do not expect them to work for free, just like you would not offer your own services for free. Everyone needs to make a living. Be realistic. The best hope of enjoying the benefits of free or low cost investigation work is through an attorney. 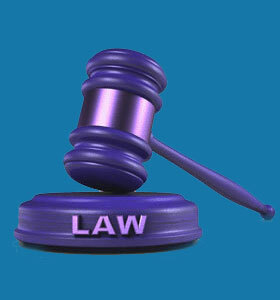 Many successful lawyers run programs which give back to the community, by offering discounted or free legal services. In some instances, private investigation might come as part of this benefit to worthy individuals and organizations. Some private investigation associations may also do limited charity work, so it might be worth contacting a local investigators organization for additional information about low cost or free services. Barter also offers the chance to acquire quality investigation services, without paying. Of course, you will have to trade comparable goods or services in order to make the deal work for both parties. There are many barter associations with P.I. members.